Let's show our teachers we appreciate them! May 2 ~ May 6 is Teacher Appreciation week. If the teachers in your area have had it rough like they have here in the Bay Area of California, let's show them a little love! What teacher these days couldn't use, and wouldn't appreciate a small token of gratitude and appreciation from our children?! In honor of Teacher Appreciation Week, we put on our budget savvy thinking caps and came up with a simple, inexpensive gift! Print and cut out the tags. Attach tag to cookie pop with double sided tape. Pour Jelly Bellies into the coffee mug. Tie ribbon on to coffee mug handle. Tie up with Cello wrap, additional ribbon and hang tag! Your child's teacher(s) will be thrilled and possibly noticeably moved when they receive your child's homemade, from the heart, Homespun With Love gift! We hope we have inspired you to show the teachers in your life some appreciation! 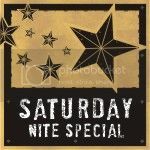 So happy to have found your blog & glad to be a new follower. :) These cookies are perfect for our teachers. I am very active with the PTA & always looking for fun ideas. Homespun stuff is the best!! I'm a teacher and I would love it if a student gave me these! I love the cups full of jelly beans! Way too cute!!! Teachers will love these! So sweet! We are gearing up for Teacher Appreciation week here too! I'll post next week about the M&M jars I made for our teachers. This is such a darling idea! Just wanted to let ya know I featured this on my blog today! I love this idea! I am crazy about all things handmade! Great teacher gift idea! We're working on our gifts this week, too! 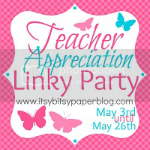 I'd love for you to stop by and share this fun teach gift at the Pretty Packages Party. That is a really nice gift! Thanks a lot sharing. its really something nice post.